Stop the Caltongate, originally uploaded by alister. 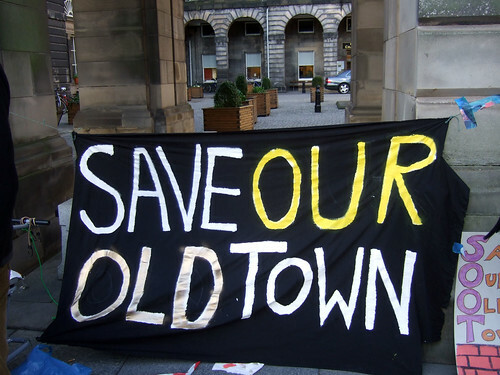 Protestors in Edinburgh's historic old town, the area around the Canongate at the foot of the Royal Mile vowed to continue their opposition to the proposed redevelopment of the area despite the decision of the council yesterday to go ahead. Spineless councillors showed no interest in the views of local people despite 1800 lodged objections. Only councillors Burgess of the Greens and Keir of the SNP spoke out against the proposals with others openly laughing at those objecting. 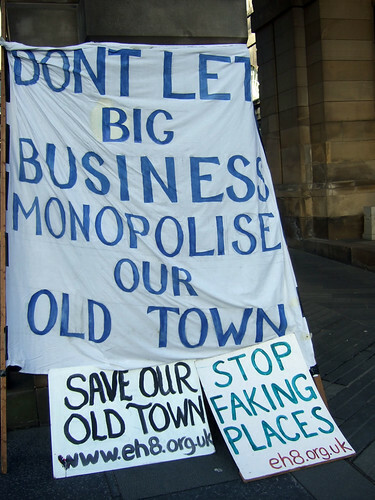 The reality is that the council can't see past the money on offer regardless of the views of residents who want a real community and not a bland corporate Disneyland.